Podcast Interview with Michael and Finding Our Hunger – This. Only This. 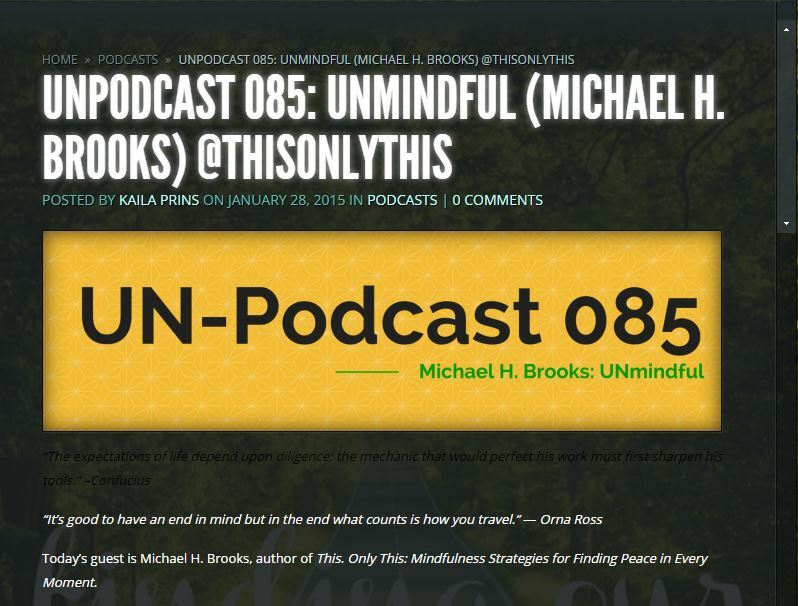 Please listen to Finding Our Hunger interview Michael and his experiences with Mindfulness. Note: Please forgive his audio for the first few minutes, it improves soon thereafter. This entry was posted in Inspirational, Interview, Meditation, Mindfulness, Original, Podcast and tagged inner stillness, journey, Mindfulness, mindfulness meditation, peace, Podcast. Bookmark the permalink.